Eric Clapton is once again slinging his trusted Stratocaster over his shoulder for a nine date tour in 2009. Beginning in Dublin on 11 May, Slowhand will visit Liverpool and Manchester before embarking on a six-day residency of the Royal Albert Hall, London. 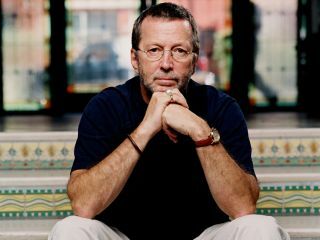 Clapton's no stranger to the Albert Hall, having played 24 consecutive sold-out nights in 1990-91 and breaking a world record in the process. He now compares the experience to: "playing in my front room." The Dublin date is on sale now, and pre-sales for the remaining dates are also available. Check out Where's Eric for details.